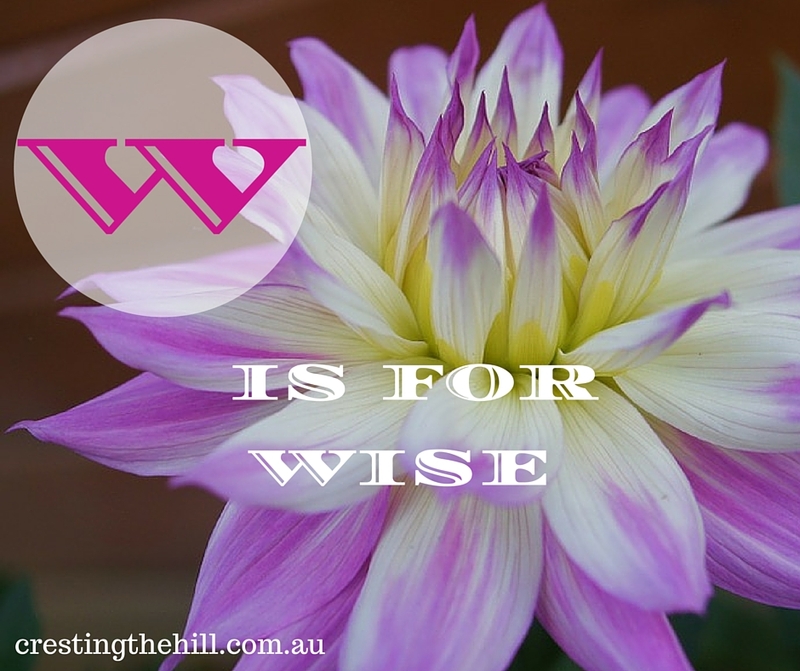 Next letter up for the A-Z challenge of Positive Personality Traits is W - and W is for Wise. Wisdom is a trait the world could do with in abundance. There is a lot of knowledge out there, but a severe lack of wisdom. Being wise is one of the "blessings" that are supposed to come with old age, but I don't think age is the deciding factor in whether you have wisdom. There are a lot of silly older folks around and the occasionally wise-beyond-their-years younger soul. 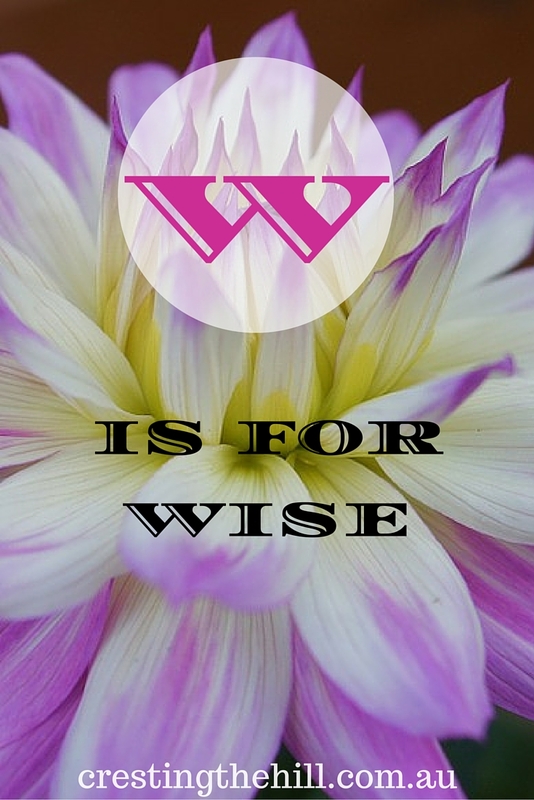 Wisdom consists of knowledge, experience and good judgement all rolled together into one very useful package. We have thousands of universities that can instill knowledge into those who seek it, but it is often through the school of 'hard knocks' that we gain the life experience to add to it and gain the wisdom that we need. Being a wise woman was a high honour in times gone by and for good reason. A person who had all that life experience and could use it to advise and speak into the lives of others with good judgement and common sense would be an amazing asset. It's something that I'd like to aspire to as I hit this stage of midlife, using the experiences that I've been through to have a positive impact on the lives of others would be very satisfying. I'm not sure that we value wisdom as highly as we should, personally I think it should be right up there in the top ten traits everyone should be working towards. A world full of wise and empathetic older people would be a world that sought peace over confrontation. We would look for qualities in our leaders that currently are sadly lacking at times. We would lead by example and have a deeper insight into what was important in our life and in the lives of others. It certainly sounds like a quality I'd like to see more of, and a world where I'd like to live. Let's aim to build our good judgement and our knowledge, add them to our life experiences and become the wise people our world really needs at this point in history. See you next time for the continuation of Positive Personality Traits - X is for eXcellent. Amen! let world has more wise people so that we can make it a better place to live. Unfortunately, wisdom is something that some but not all of us learn as we get older. Through life experiences we learn or we should learn. You are right in saying that we need more 'wise' people in this world. Perhaps we should start a Wisdom movement Leanne! thanks Mary Lou - wisdom in leaders would be wonderful wouldn't it? Maybe we'd have a few less wars! The difference between knowledge and wisdom: Knowledge is knowing a tomato is a fruit. Wisdom is not putting tomatoes in your fruit salad. Enjoyed your post. I agree - it would be great to see more wisdom from our world leaders. 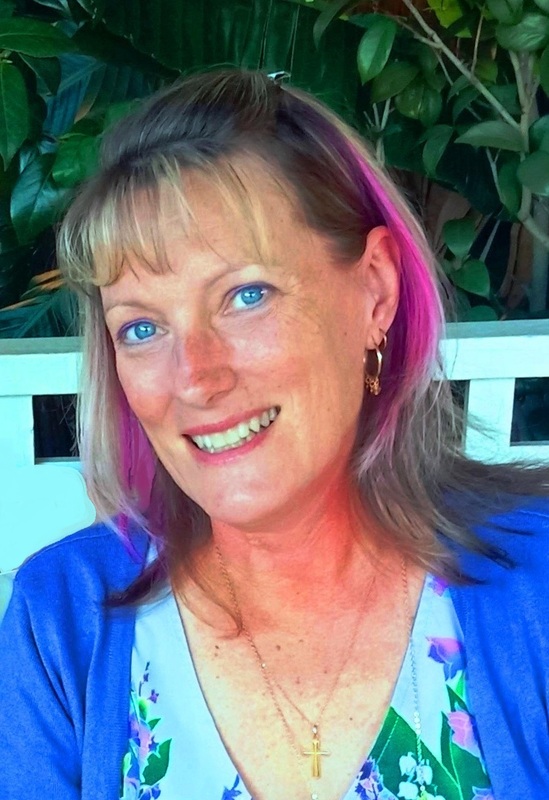 I am loving your personality traits series! Age and wisdom used to go together in so-called primitive cultures. Of course now, age just goes with age. Wisdom IS in short supply around the world. I pray for it. True wisdom seems to be in short supply these days. And then there is the problem with people inflicted with media though wisdom. We need more critical and innovative thinking with rational discernment of all that we hear and read. That is so true - innovative thinking and discernment are not the go-to modes of operation for most people today. True words, wisdom is something I strive to gain as I get older. I always miss the presence of my grandparents, haven't met anyone wiser! Age does have a lot to do with wisdom! I hope I grow wiser as I age and hope to be in the company of the wise! A trait that seems to be dwindling rather rapidly! Yes Kala, the wise grandparents of days gone by seem to be disappearing. Maybe it's time for my generation to start stepping up to the challenge! ashttps://everyonehasafamilystorytotell.wordpress.com/2016/04/27/blogging-from-a-to-z-april-2016-w/ a young person vs older. Great Post. You're right Jeanne - you do come across the occasional wise young adult, but wisdom seems to be more prevalent in the older generations - it helps balance the not so great parts of ageing! I think wisdom is not something we're gifted with, but something that we must strive to acquire. Great reminder, Leanne. Yes Corinne - I think intelligence can be a gift, but wisdom comes through life experience. You are so right, unfortunately, we don't value wisdom as much as we should. I have many wonderful older women in my life. They are wise! I learn from them and reach out to them for counsel. There is def something to be said about life experience. That being said, I think my two children are so wise. They have a deep understanding and perspective about life that is extremely helpful to me, as well. Wise comes in all ages. There are wise women out there, many of them older. Younger people don't pay as much attention to us as they did in past generations. Or at least that is what we hear, that in the past it was better. Sometimes real wisdom does come from the young. Most people are moving so fast these days, it's hard for them to slow down and dig below the surface to find the wisdom that is there for those who ask, look take a minute to talk. You're right about wisdom. Sometimes people who have advanced degrees are not so bright when it comes to having common sense. They actually let their "knowledge" get in their own way. Wisdom. Such an important trait. Bought with a lifetime of experience. But, sadly, so little prized. So true Diane - it seems to have gone out of fashion nowadays but is still so valuable. I like your choice for W, Wisdom. Some have it, some not so much! I would like to share but sometimes it is not well received or asked for which goes with the big 'W', knowing when to share! thanks Haralee - wisdom and knowing when advice will be accepted by others needs to go hand in hand doesn't it? I love your statement there is a lot of knowledge out there but a severe lack of wisdom. I think the wisdom is often overlooked because the giver doesn't have the right profile. Never underestimate the value and strength of wisdom! (Unfortunately, too many people do.) It's hard-earned and so very valuable. You're right Sheryl - it is such a valuable trait and a hard earned one that needs to be appreciated more. We do need to not only value wisdom more in others but we also need to recognize our own wisdom and value it more! Gaining a little wisdom, which also includes some perspective, is a gift of midlife and getting older. Beautifully written post on this trait! thanks Cathy, and I totally believe that midlife is when wisdom starts to come into its own and hopefully keeps growing as we get older. The concept of the wise elder, would that it were true that they would seek peace over confrontation and greed. Wouldn't that be a wonderful gift to this world of ours Jennifer?! Logically, the older the wiser but it's not the rule all the time. Also, I think wise people learn on other peoples experiences and mistakes more often than their own. Agreed: Knowledge is easy to come by. Only wisdom comes from experience.